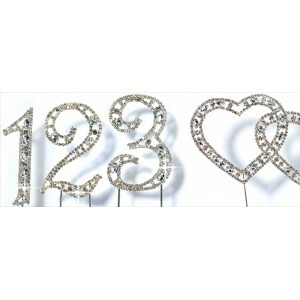 Bring a bit of sparkle to birthday cakes or wedding cakes with these stunning diamante numbers available from 0 – 9, letters, hearts, sprays and brooches. You can simply add an eye catching diamante cake decoration to your cake creation creation with our wide range of diamante decorations. 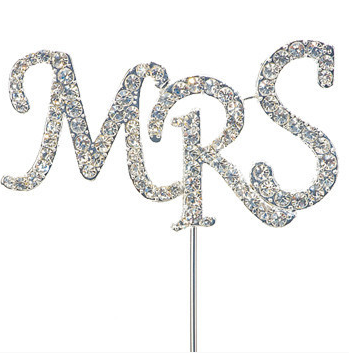 Our beautiful and elegant diamante lettering, also includes an ‘&’ symbol meaning that this product is ideal for creating a romantic wedding cake topper containing the Bride and Grooms initials.